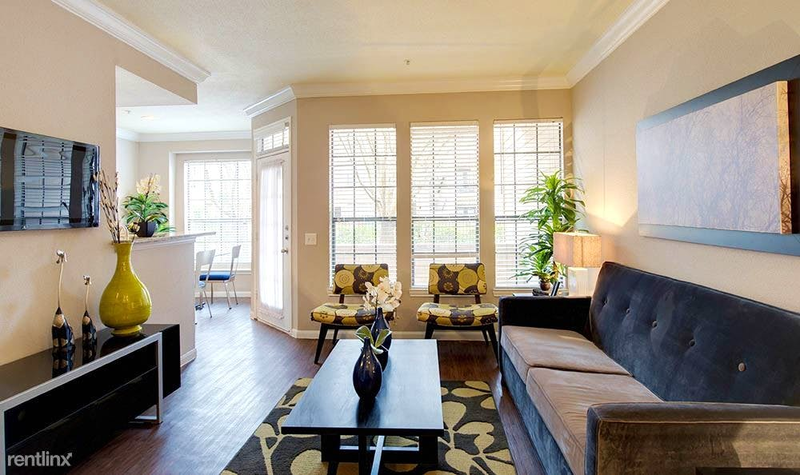 Renting in Houston: What will $800 get you? We've rounded up the latest rental offerings via rental site Zumper to get a sense of what to expect when it comes to hunting down a rental in Houston if you're on a budget of $800/month. Listed at $800/month, this one-bedroom, one-bathroom apartment is located at 2250 Holly Hall St., #5611. In the apartment, you'll find air conditioning, carpeting, a breakfast bar, a dishwasher, a ceiling fan and wooden cabinetry. The complex offers a swimming pool, a lounge and outdoor space. Pets are not welcome. There isn't a leasing fee associated with this rental. Walk Score indicates that the surrounding area is somewhat walkable, is quite bikeable and offers many nearby public transportation options. Next, there's this one-bedroom, one-bathroom apartment situated at 7000 Greenbriar Drive, #2386. It's also listed for $800/month. In the apartment, anticipate hardwood flooring, air conditioning, a ceiling fan, wooden cabinetry and a dishwasher. The complex offers amenities like a lounge, a swimming pool, a fitness center and outdoor space. Animals are not permitted. The rental doesn't require a leasing fee. Per Walk Score ratings, the area around this address is moderately walkable, is convenient for biking and offers many nearby public transportation options. Located at Winsome Lane, here's a 481-square-foot one-bedroom, one-bathroom apartment that's listed for $800/month. In the unit, you can anticipate hardwood flooring, air conditioning, a dishwasher, in-unit laundry, a walk-in closet, a balcony and a ceiling fan. The building offers assigned parking, outdoor space, a swimming pool and a fitness center. If you've got a pet, you'll be happy to learn that cats and dogs are permitted. Per Walk Score ratings, the surrounding area is moderately walkable, is bikeable and offers many nearby public transportation options. Next, there's this one-bedroom, one-bathroom apartment located at 9555 Crofton St., #2815. It's listed for $798/month. The apartment has air conditioning, hardwood flooring, recessed lighting, wooden cabinetry, stainless steel appliances and a dishwasher. The complex has a swimming pool and outdoor space. Pets are not welcome. There isn't a leasing fee associated with this rental. According to Walk Score's assessment, the area around this address is somewhat walkable, is very bikeable and has some transit options. Finally, check out this 500-square-foot studio that's located at 8416 La Porte Road, #1. It's listed for $795/month. In the unit, you're promised hardwood flooring, air conditioning, a ceiling fan, granite countertops and wooden cabinetry. Neither cats nor dogs are welcome. The rental doesn't require a leasing fee. Walk Score indicates that the area around this address isn't very walkable, has minimal bike infrastructure and has a few nearby public transportation options.